Continuing with our one-of-a-kind flagship Webinar series on Bilateral Investment Treaty / Investor-State Disputes, with experts such as Salim Moollan QC, Toby Landau QC, Michael Hwang, SC, Gary Born, we are thrilled to announce that recently we had the opportunity to interact with investment arbitration expert, Dr. Hamid Gharavi in Paris, on the sidelines of Paris Arbitration Week. Judicial expropriation has been used synonymously with denial of justice in investor-state disputes and the standards remain blur. There is hardly any jurisprudence on the topic despite being widely debated and discussed in certain landmark rulings. 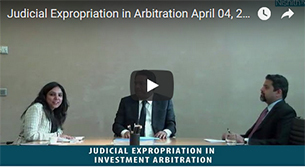 In the fifth episode of this series, we look forward to understanding the concept of ‘judicial expropriation’ and standards for its application. The interview will try to explain the differences and remove the confusion caused due to certain ICSID rulings, thresholds and standards applicable in case of denial of justice and judicial expropriation. 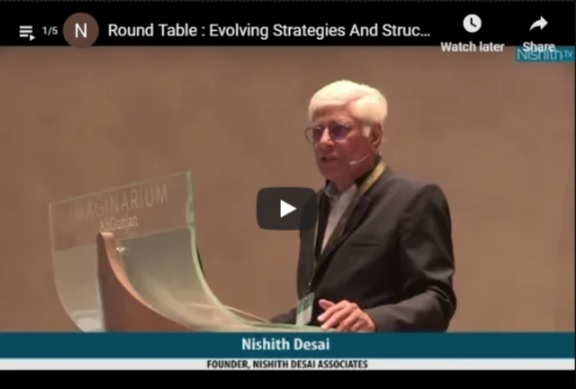 Payel Chatterjee and Sahil Kanuga of Nishith Desai Associates had an interesting conversation with Dr. Gharavi on ‘judicial expropriation’ and its implications on bilateral investment treaty disputes during the Paris Arbitration Week, 2019. The link to the exclusive interview is available here. Dr. Hamid Gharavi is the Founding Partner of Derains and Gharavi and has been has been appointed to the Panel of ICSID Arbitrators, to the Court of the Istanbul Arbitration Centre, to the Court of the LCIA (from 2008-2012), the Commission on Arbitration of the ICC, as the President of the Board of the Tehran Regional Arbitration Centre, as well as to other panels, including DIAC, SIAC and the Court of Arbitration for Sport. He has acted as an arbitrator or counsel in over 200 ad hoc and institutional arbitrations, including commercial and over 30 investment arbitrations under foreign investment laws and bilateral and multilateral treaties, in relation to a broad spectrum of issues ranging from sanctions to political takings, and across several industries. Dr. Gharavi teaches investment arbitration in the Master program “Droit international économique” at the University of Paris II Panthéon-Assas. Both Chambers and Legal 500 rank him at Band 1 of arbitration counsels for France. Strong credentials in Corporate Law (in particular M&A or Fund Investment), Fund Formation or International Tax? Now’s the time to apply. We’re looking for the industry's best talent with scope to do extraordinary work for the world’s best, marquee clients. Reach out for a great career in a great place!